The damage from Hurricane Emily to the Hekab Be biblioteca of Akumal was substantial: we lost most of the roof on the outer/storage buildings, some books, half of the recently installed Margot Meacham Memorial garden, several trees (but most of our shade), the air conditioning unit (which was crushed by the neighbor’s concrete wall), telephone service and our main ground electrical line. Still, Summer School courses recommenced one week later. By the first week of October we still had no electricity (though Thanks to Deborah Oakley we do have a new air conditioner), no telephone and the roof collapse in the outer buildings had only been partially cleaned up. We watched Wilma develop in the southern Caribbean for over a week – thinking she would only be a category 3 at most. Of course that was before Thurs. the 20th of October when Wilma morphed from a category 3 to a 5 overnight. Carlos and I knew the drill, and we had some help from a couple of our library patrons. We covered what we could in the storage areas, anchored our Hekab Be sign (we had only just cemented it back into place the week before), covered windows, wrapped the exposed area of air conditioning unit in plastic, moved everything up off the floor, all electrical equipment was put up high, moved books on low shelves to higher shelves and finally sandbagged the front door and secured the screen door and tried to take faith in the fact that we did all we could do to protect the library. I evacuated to Chetumal 2 hours later with the sea already outside the back doors of the Centro Ecologico Akumal (CEA) – it would not be until the following Monday that we would be able to return. Carlos spent a harrowing 36 hours in the pueblo at his family’s home – and experienced quite a lot of duress. The family lost the palapa (thatch roof) of their kitchen but all came through the storm unscathed. The return – Carlos was finally able to get out of his home Sunday afternoon and immediately went over to the library. He said there was debris everywhere, the interior of the library was flooded to the degree that the door had to be forced in order to open it. The door is only now less swollen and no longer requires ramming your shoulder into it to get it to open! The windows and doors were blown out , what little remained of the roof had crushed chairs and tables and books that had been carefully collected and stored (idea was/is to have a used bookstore in there) were destroyed – in all we lost over 400 books. The interior of the library had over 10 inches of water in it – but for the most part everything in there was alright – it just smells really bad. We have had paint donated to paint the interior – which will help. In all, we are getting things cleaned up and are motivated to overcome these many obstacles in a joint effort to make the library stronger that it was before and less vulnerable. The mentoring program is again underway – this is an endeavor between the library and the local primary school. Carlos and I walk to the school and walk back to the library with 3 students (5th and 6th grade students) and then work on their reading and pronunciation, and presentation skills. The idea is the will then work as a mentor to one of the younger children encouraging them to read as well as they do – it is working well! I am in the process of planning our Christmas party – all volunteers are welcome – we even have a Santa volunteer. For now the date is tentatively Thurs. December 22nd. We are now in dire need for a roof for the storage buildings, and in need of a carpenter or someone with good home repair skills to install book shelves (we need the shelves too : ) and help in getting CFE (the electric company) to recognize our order number for repair. In addition we also need plants (can be bought in Playa del Carmen or Tulum, newer computer equipment (we have 1 computer left out of 4 that is functional), Spanish reference books (again, a newer set of encyclopedias – I realize that most of that is available online but we have not had internet for 7 months now – and the internet cannot replace the actual manual research one has to do with a book). And then there is what we need most at this time – financial donations. We desperately need the funds to pay for a new roof and for general repairs. 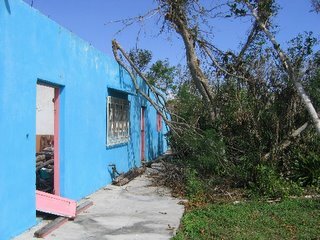 This little library was barely getting by before the first hurricane (we do not get a single centavo from the government) and that was only to be exasperated by the second hurricane 3 months later. All said it could have been worse… no life was loss in Akumal and our main building is still standing, a remarkable achievement in it’s own right. Think of it as “the little library that could” succeed! And it will. Please visit us when you are in Akumal – our hours are Mon.-Fri. 9:00 – 1:00 and 3:30 – 5:30 and Sat. 9:00 – 1:00.